I cut chicken into strips. Saute' on med high until tender brown in grape seed oil and sea salt. Then I take the chicken out of the pan, and add the onion, chopped into large peices (slivers) and the green pepper (same as the onion). Then I add pepper, and saute' until they are tender. Add the chicken back into the pan and a can or two of black beans (rinsed) and that is it. Afterwards I add tomatos, cilantro, sour cream, and avacado, and roll it all up in a tortilla, but for the cooking that is all I do, and they always turn out perfect. This looks good, I'm definately going to try it! 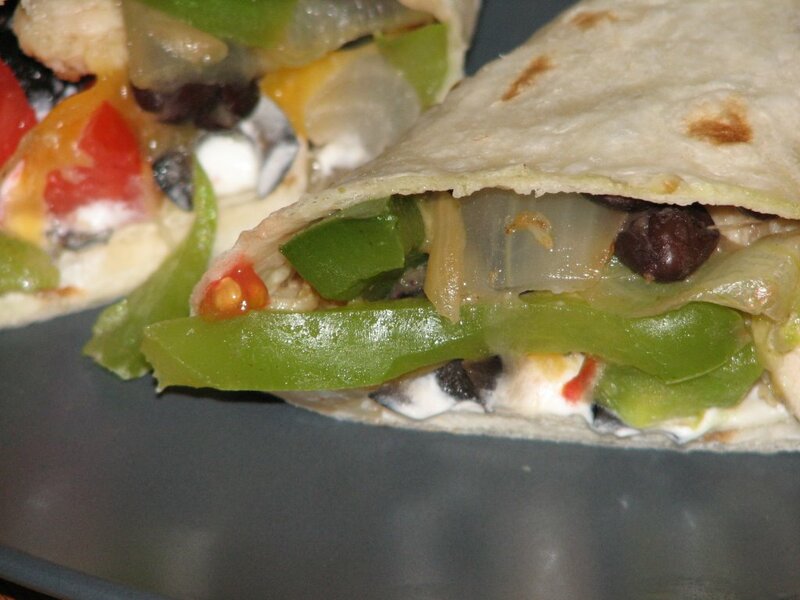 Oh, those fajitas look wonderful! I would do more fajitas in my house, but dh just isn't fond of large quanities of cooked peppers. Recipes like fajitas or stuffed peppers just don't go over well with him. I could eat mass quantities of the stuff! What's his problem? lol! I just let Don pick out the peppers. I always take the extras (Cyan doesn't eat them either... what is wrong with these people?). They are so sweet and yummy this time of year! These organic farm peppers are esp good... I am in love. Don can deal. LOL!